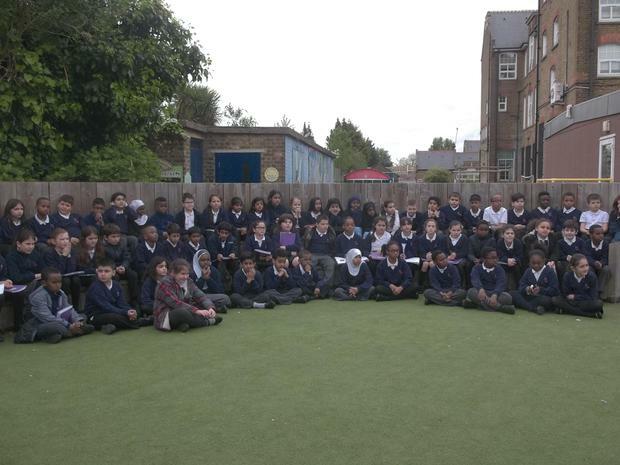 We’re now halfway through our final term together as Year 4 before the children move onto Year 5. 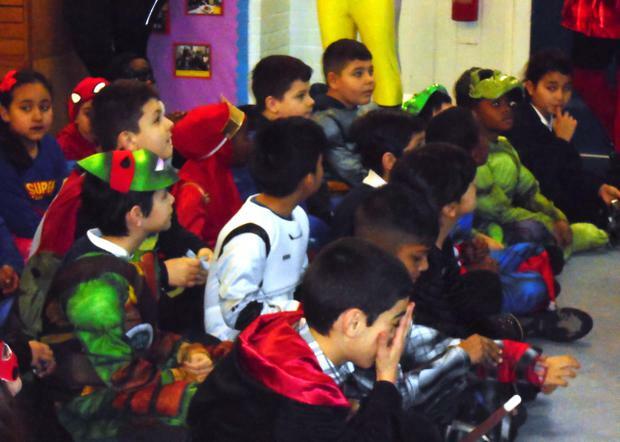 This half term sees us focusing upon Road Dahl as we read James and the Giant Peach. 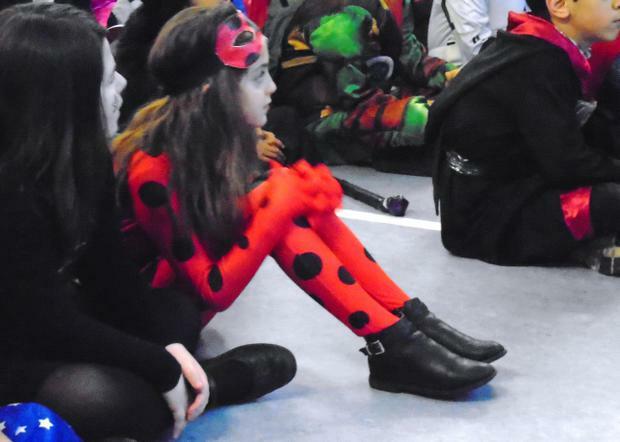 Our English work has seen us looking at the characters of the book in detail, especially the insects. 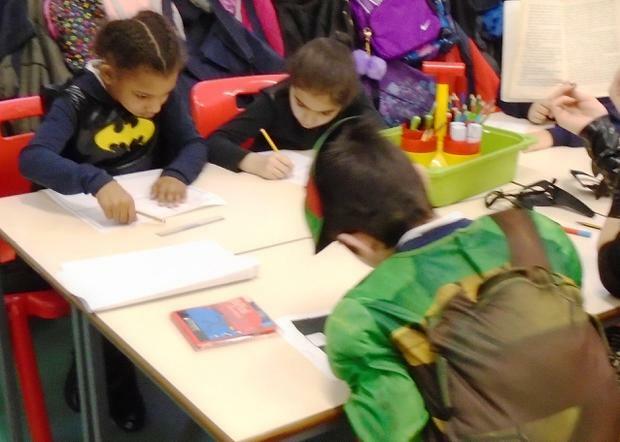 As part of our English work, we are writing biographies for the insects and using our imagination to extend their stories beyond the end of the book. 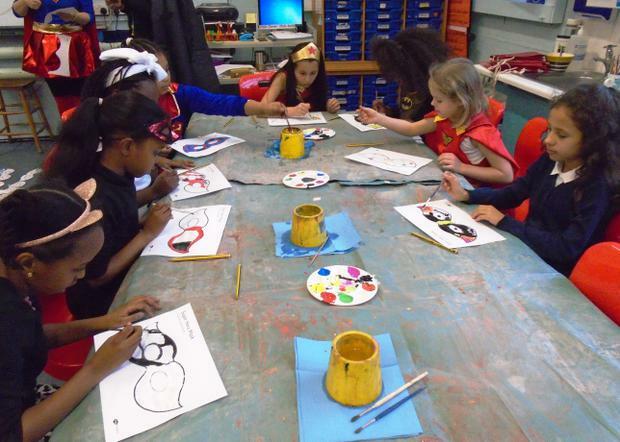 Alongside this, in art we are constructing our own peaches and adding onto it all of the characters from the book. 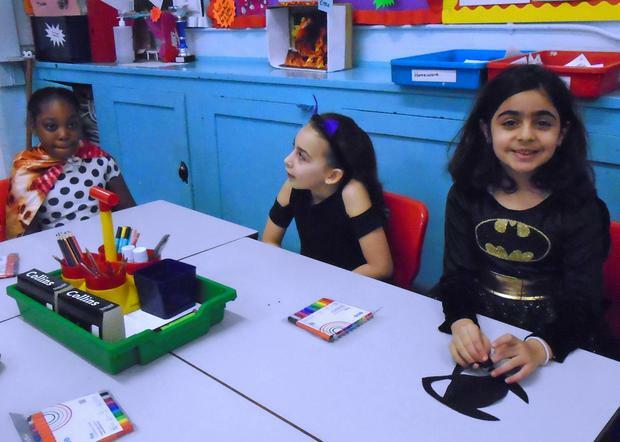 This ties in nicely with our science topic, Animals and Habitats, in which we look at how to classify different animals and look at where they live. 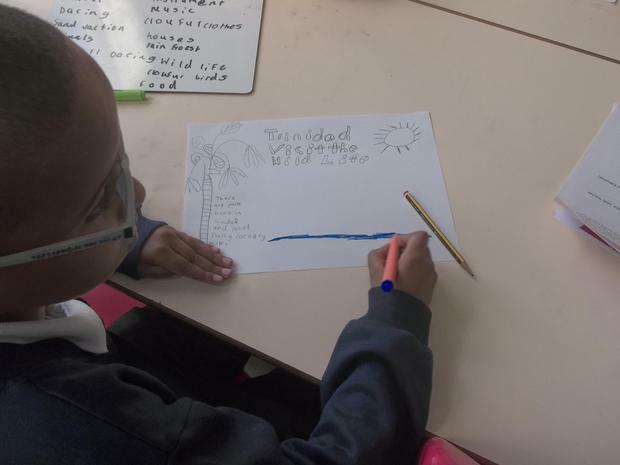 Our geography work has involved improving our map-reading skills as we learnt to identify different geographical features and the different continents. 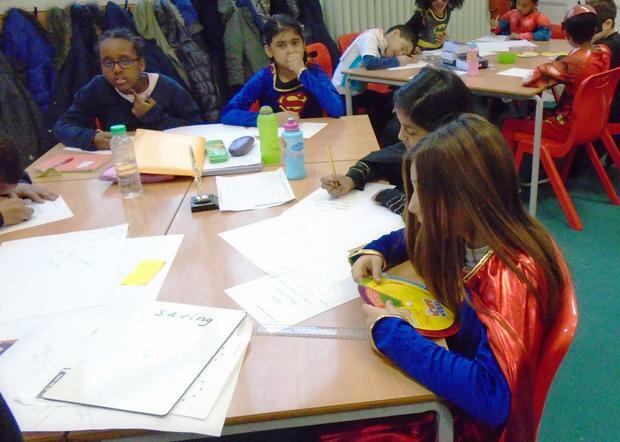 Building on our earlier work on rivers, we can now locate mountains and capital cities in an atlas! 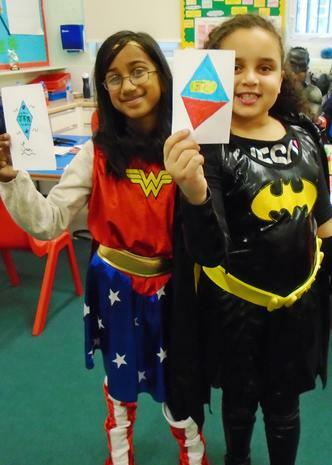 Finally, we have a series of other exciting events lined up before we break up for the summer holidays. 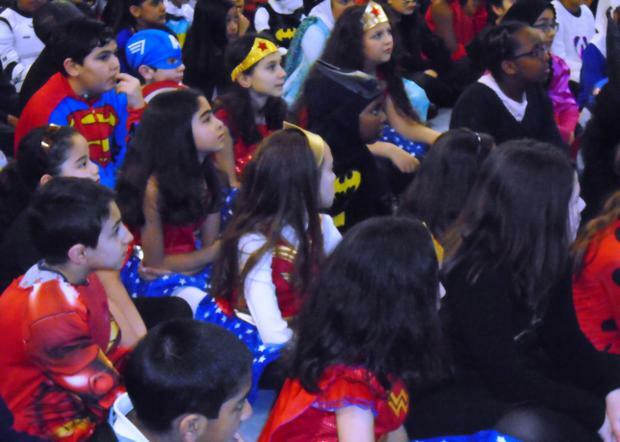 On Thursday 29th June, we host our annual Sports Day. 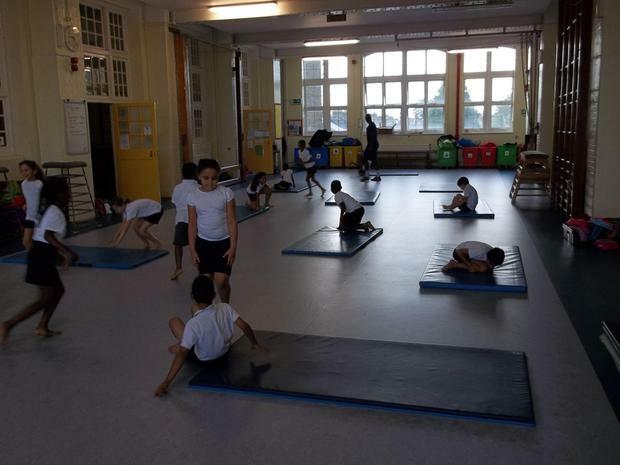 Please ensure all children remember their PE kit and pack a snack and some water for during the morning. 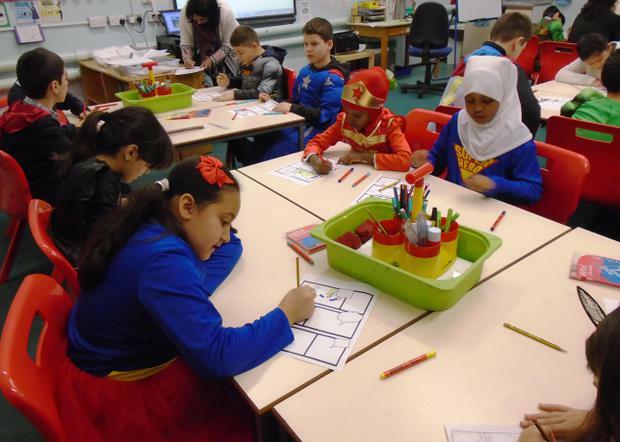 Shortly after, we will have our ‘transition week’ in which children will meet their new Year 5 teachers and spend three mornings getting to know them. 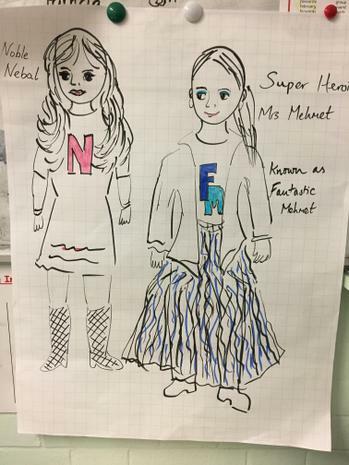 Following this, in the final week we will be holding an international day to celebrate Ms Messer’s retirement and the number of different nationalities represented in our school community. 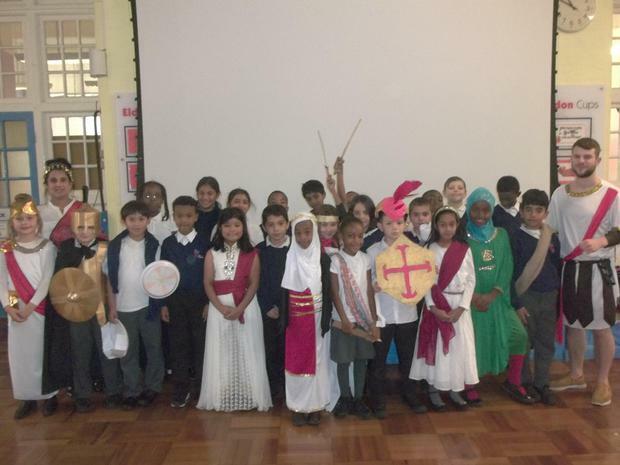 This half term we have continued our learning and have produced some absolutely fantastic work in all of our subjects. 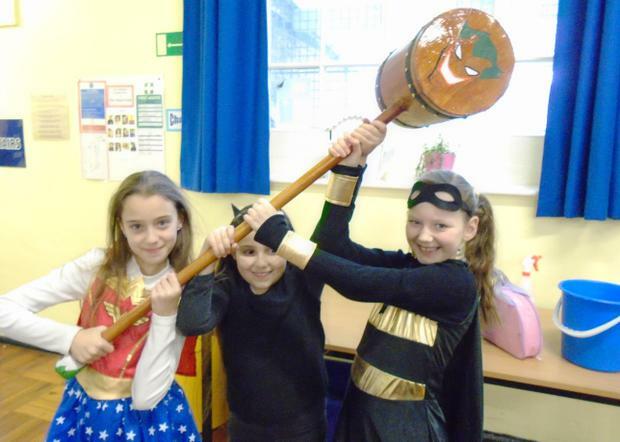 In English, we have been studying the Anglo-Saxon tale of Beowulf and his battle against the gruesome Grendel. 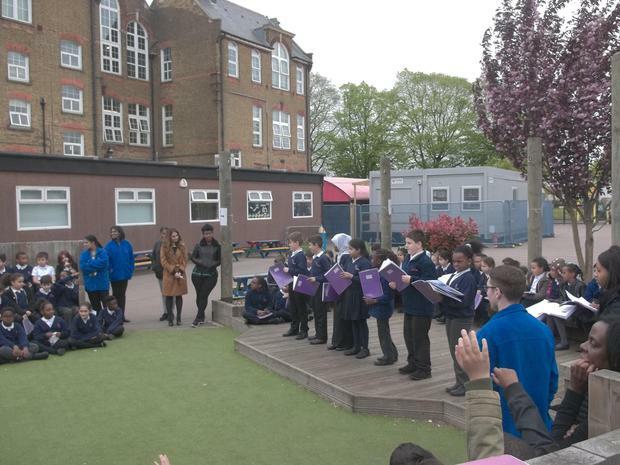 As part of this, we wrote our own poems and riddles about Beowulf and performed them outside as a whole year group. 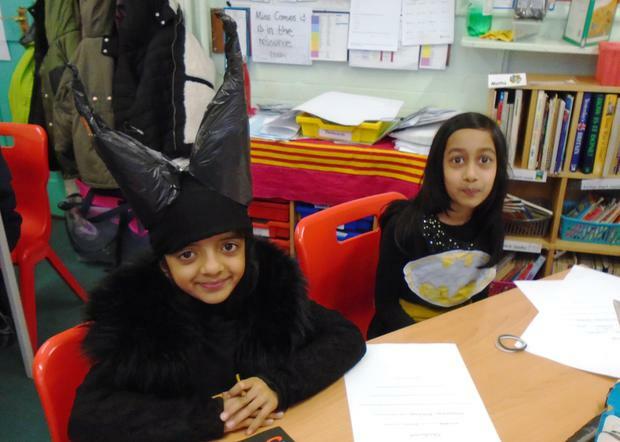 We heard some really impressive poems and also showed off our inference skills that we have learnt in guided reading as we solved others’ riddles. 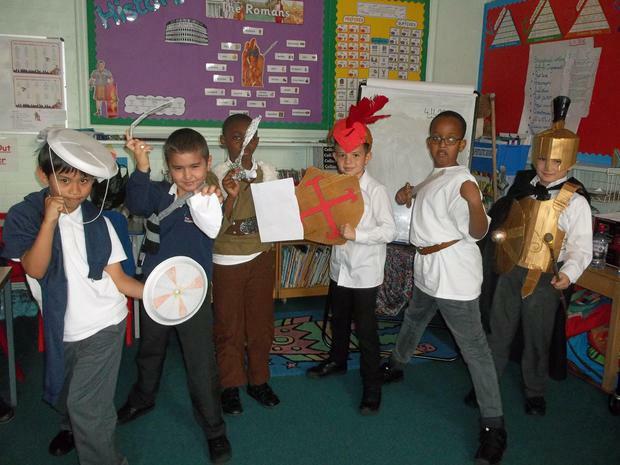 Our history work has also focussed on the Anglo-Saxons and how they lived. 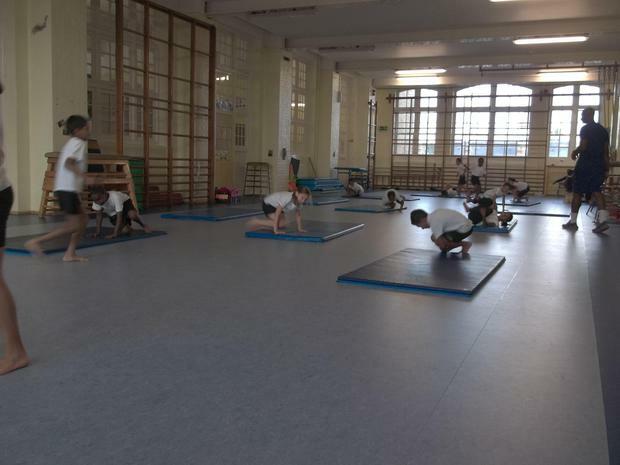 We’ve used this knowledge in P.E. 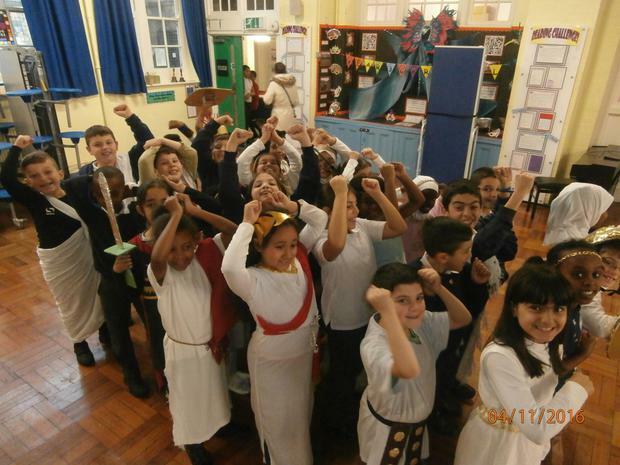 to create our own Anglo-Saxon dances, showing how they lived their lives. 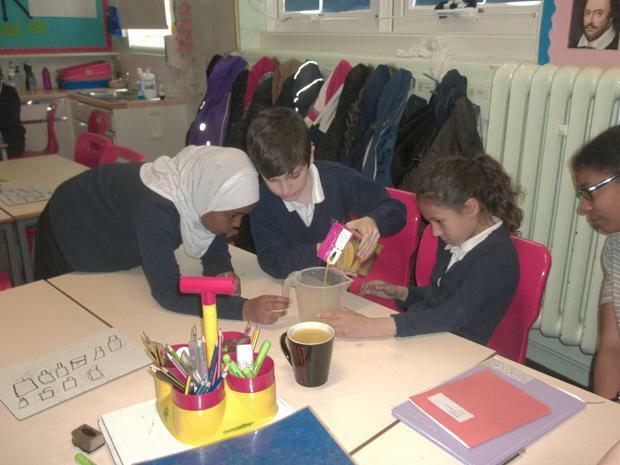 As well as continuing our number work in maths, we have learnt to measure volume and capacity. 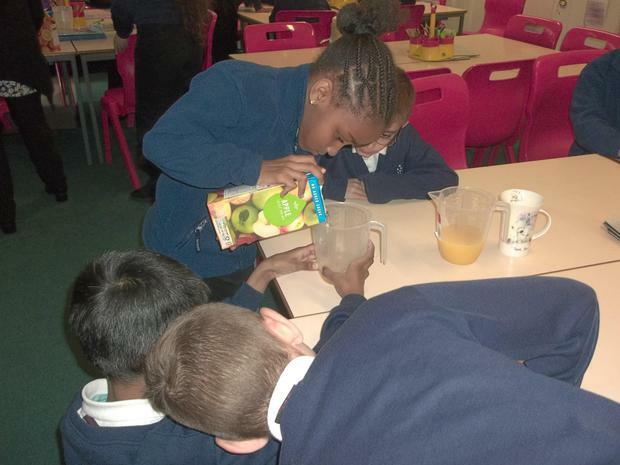 As you can see from the photos, some of our children even applied their new measuring skills to create their own fruit mocktails. 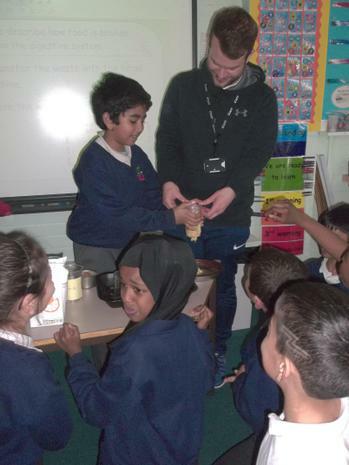 We are proud to announce that we are also a year group of healthy eaters following our science work this half term. 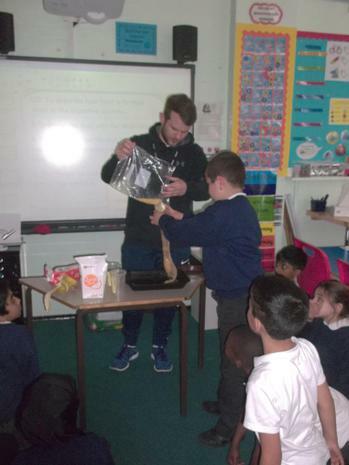 As well as finding out what foods we need to eat to keep our bodies healthy, we carried out lots of exciting experiments to find out how our digestive system works. 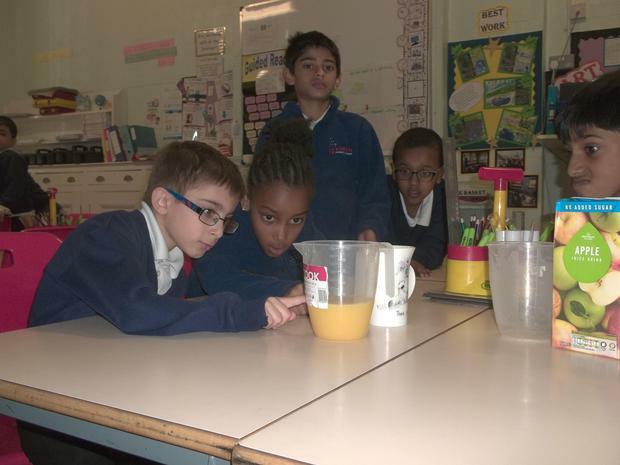 In one of these, we created our own digestive system to look at how our body digests food. 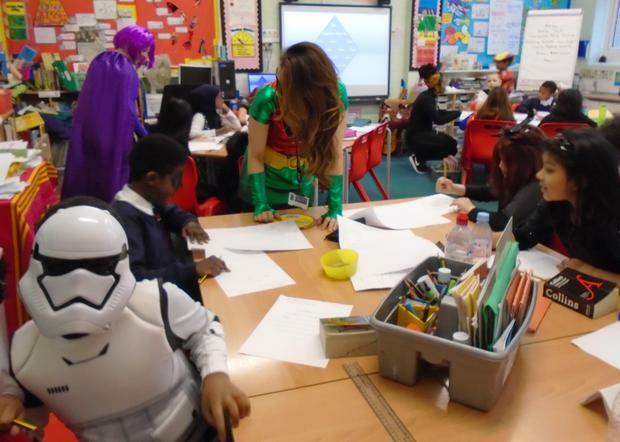 We've had an action packed few weeks in Year 4. 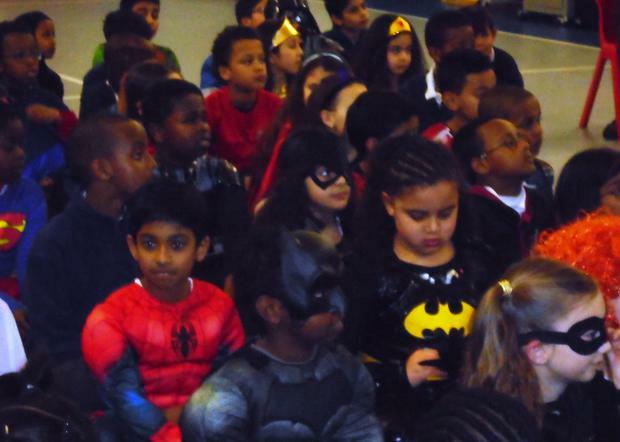 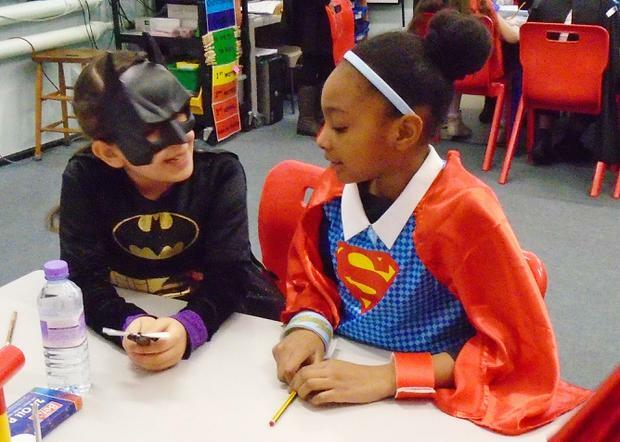 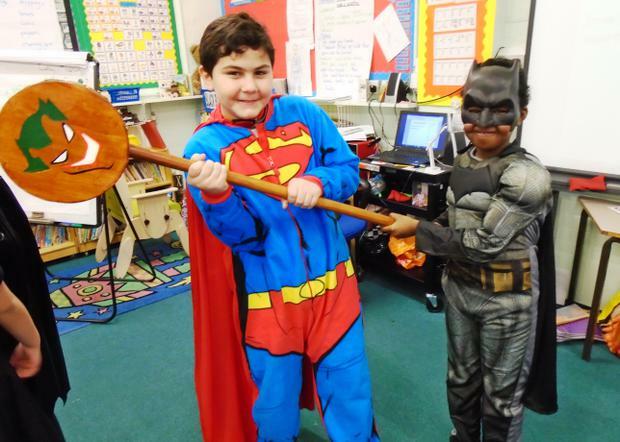 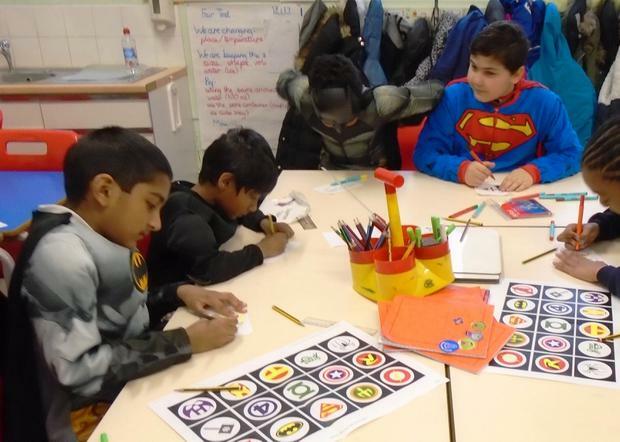 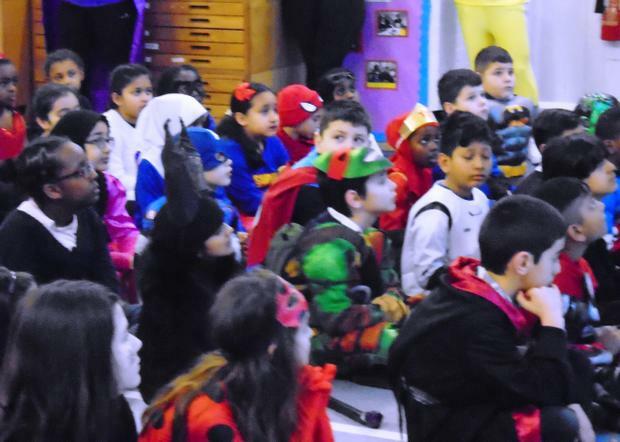 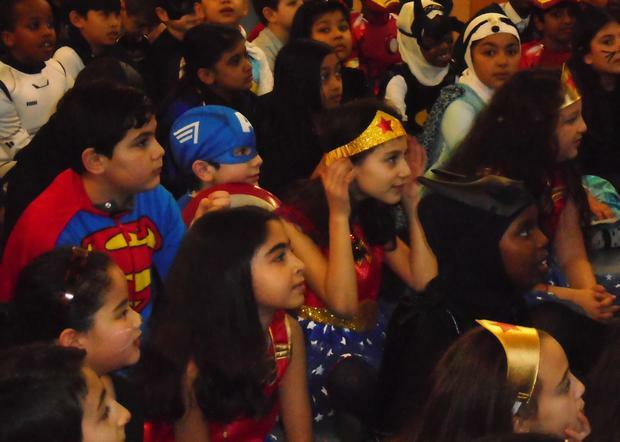 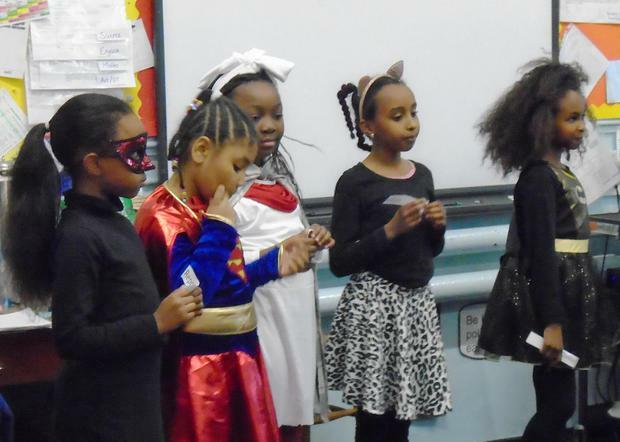 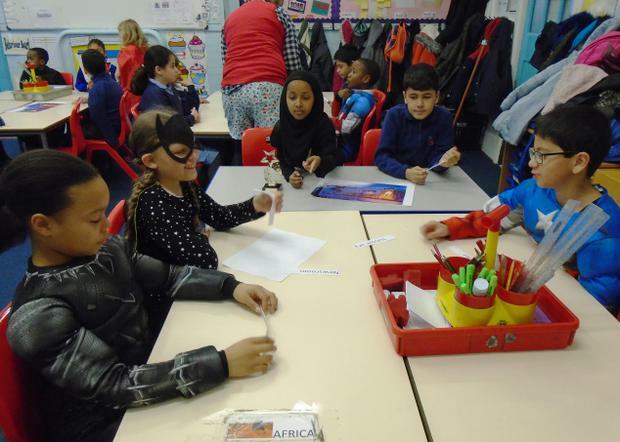 On the last day before the half-term holidays, we celebrated all of the hard work we completed on our superheroes topic by having a superhero day. 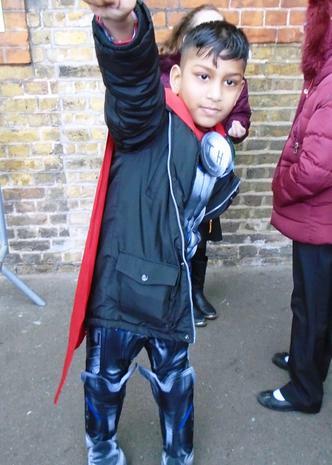 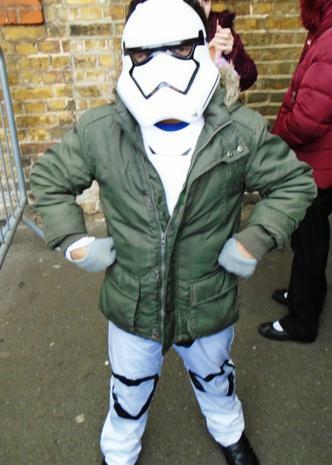 We saw some incredible outfits on display and completed lots of fun superhero activities. 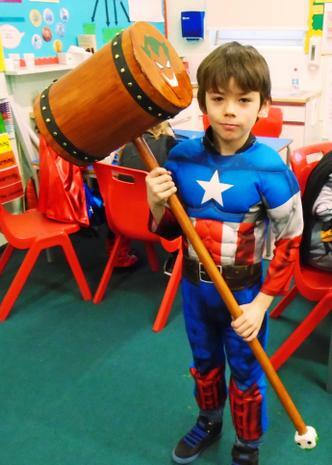 We look forward to you being able to see some of this on display at our upcoming parents' evening. 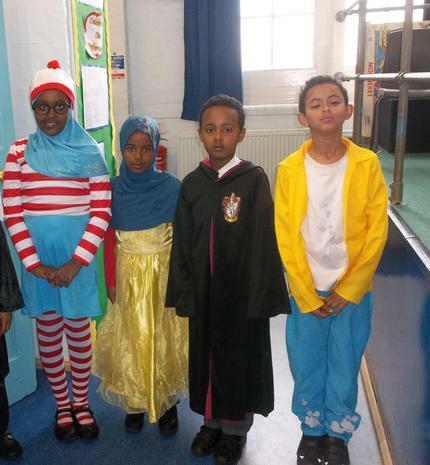 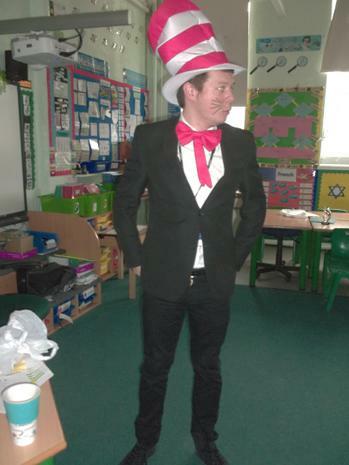 We've also celebrated World Book Day with a week of celebrations. 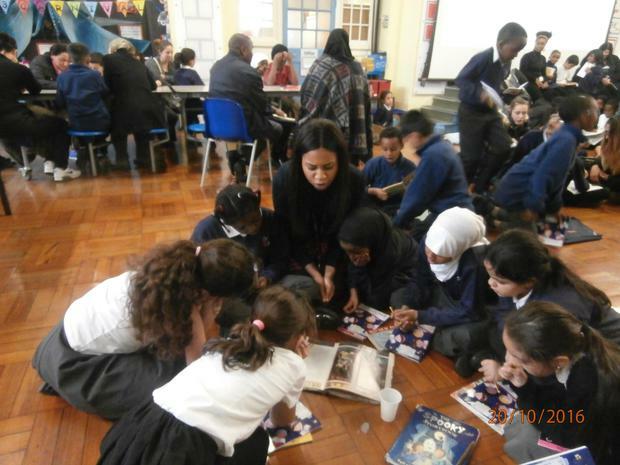 Year 4 focused on the book 'A River Dream' by Allen Say. 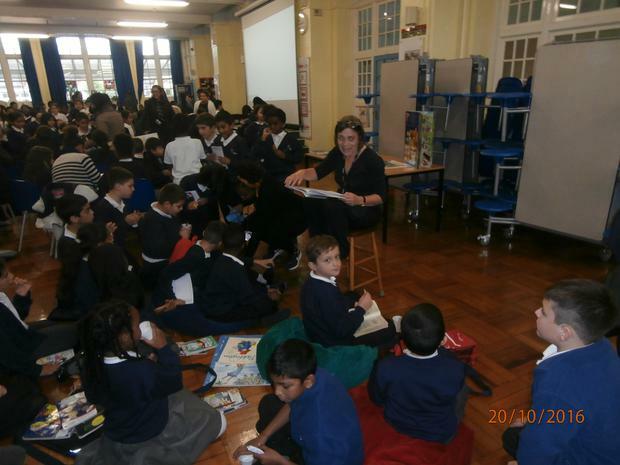 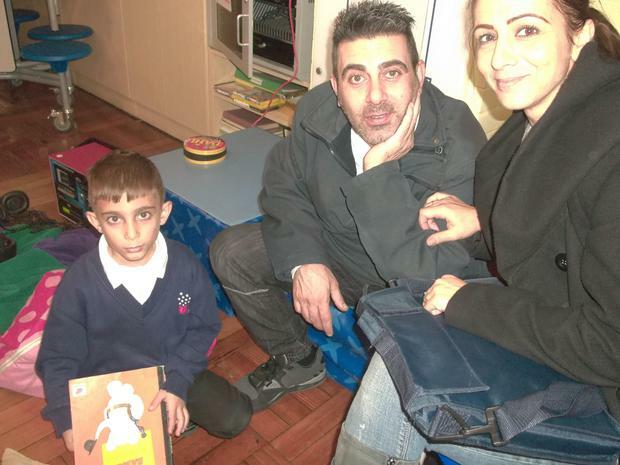 We were pleased to see children engrossed in the book and producing some excellent work. 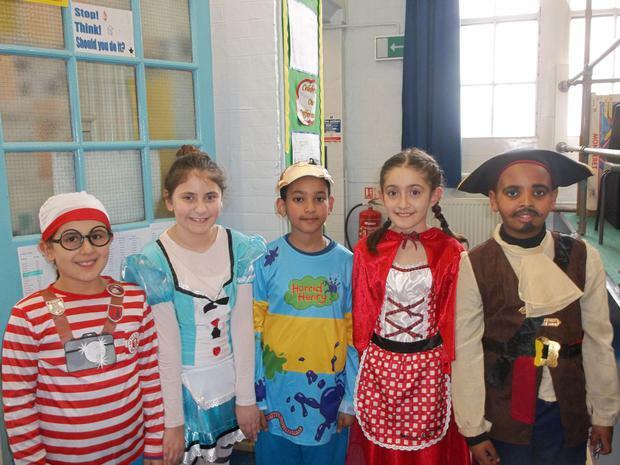 On Friday, we dressed up as our favourite characters from books and once again we'd like to thank parents for creating some excellent costumes. 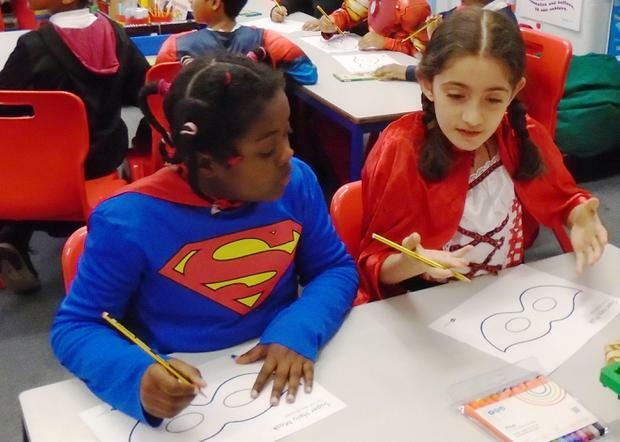 Over this half term, we are studying rivers in English, Art and Geography, and we will be enriching this learning with a trip on the 16th and 17th March. 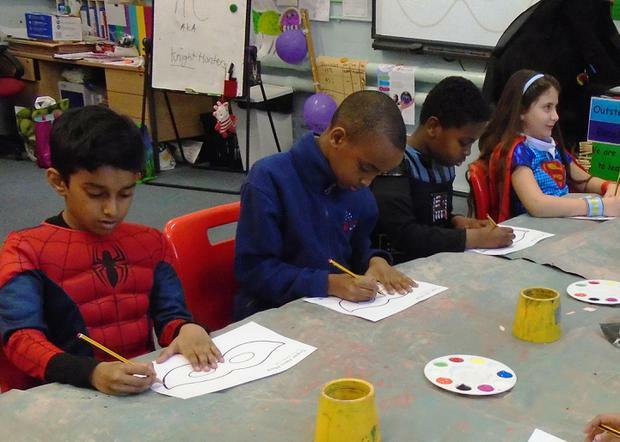 We will be going to the National Gallery to see some of Monet's and other artists' paintings of water and following this with a walk along the River Thames to see some of the famous tourist attractions alongside it. 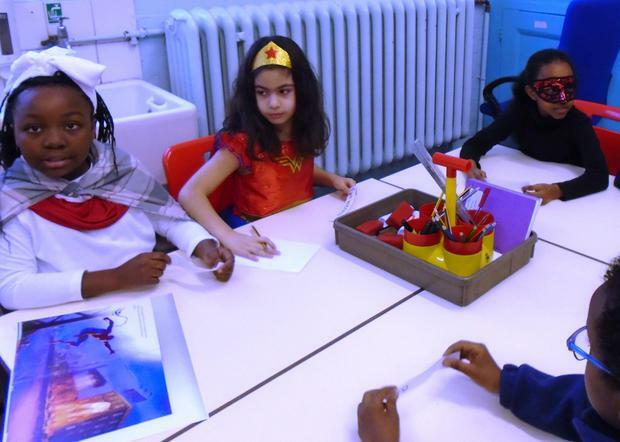 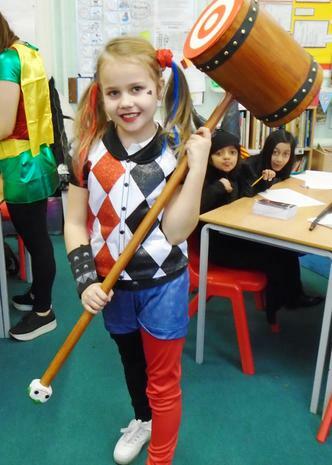 Martin Luther King, Albert Einstein and William Shakespeare classes will be going on the Thursday, followed by Marie Curie and Mother Theresa on the Friday. 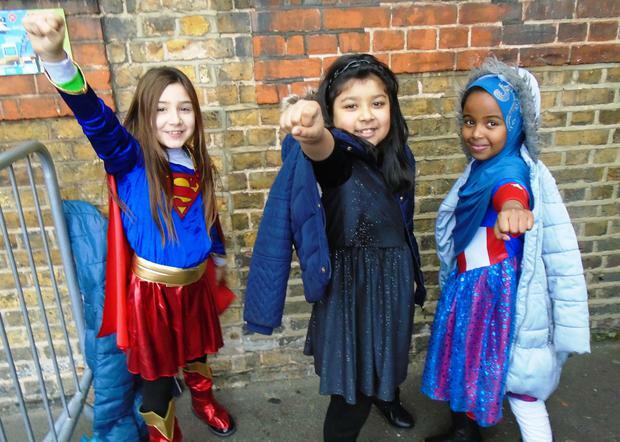 Please remember to give children a healthy packed lunch in a disposable bag on the day so they don't have to carry their lunchbox all day. 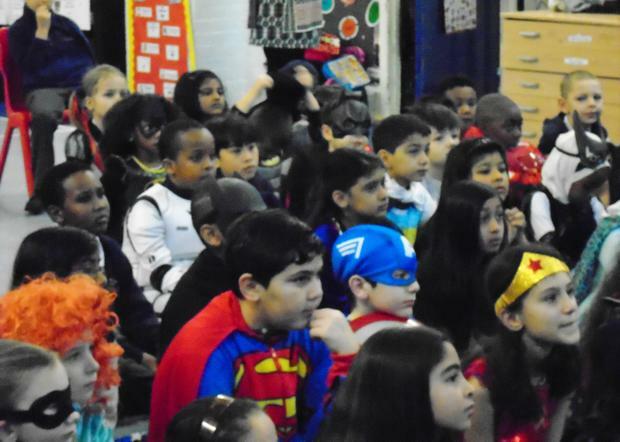 We hope you had a fantastic break and had a chance to relax and see loved ones. 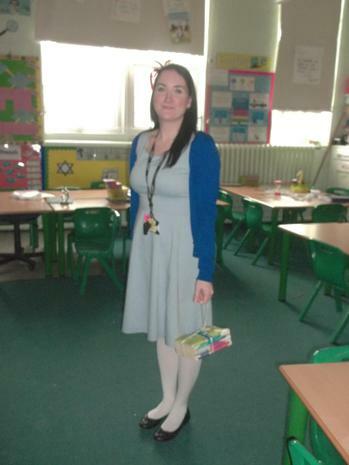 We would like to welcome a new member of staff, Mrs Dobson, who will be teaching Marie Curie class this half term. 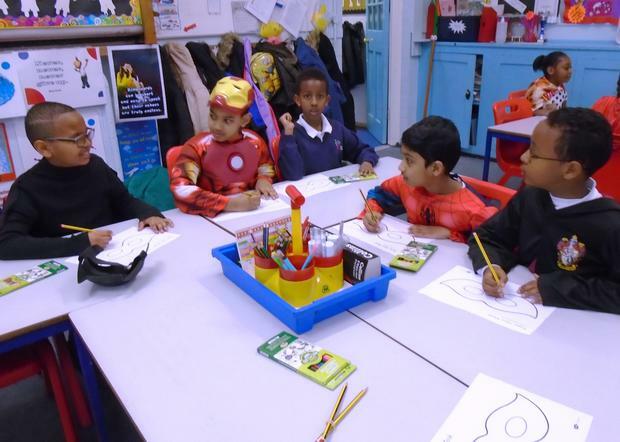 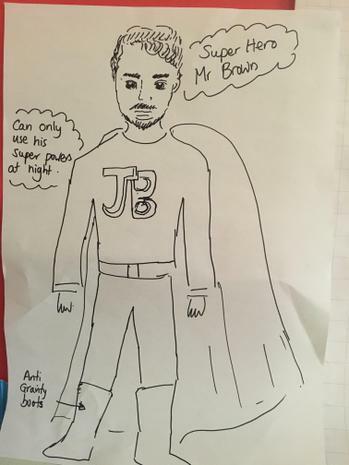 This half term, our topic is superheroes. 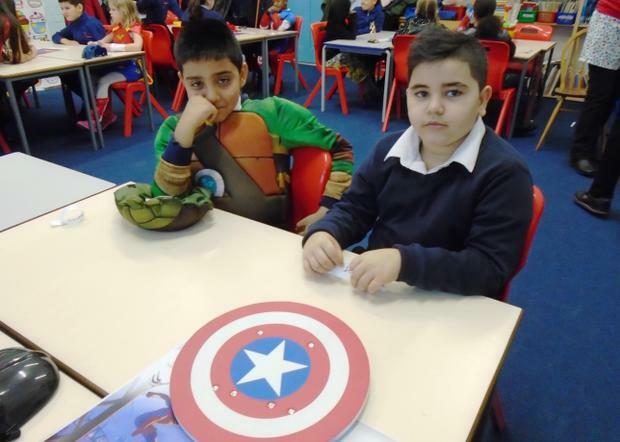 We will be looking at superheroes in English and in our ICT and Design Technology lessons. 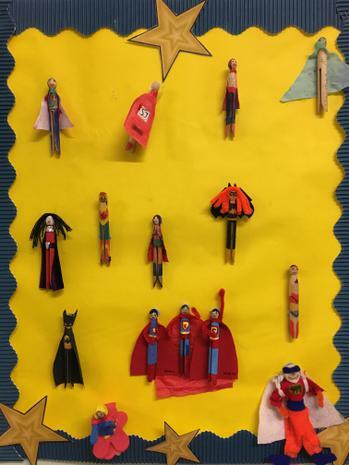 We've already seen some amazing superhero peg dolls that children have created over the break, thank you for all your efforts. 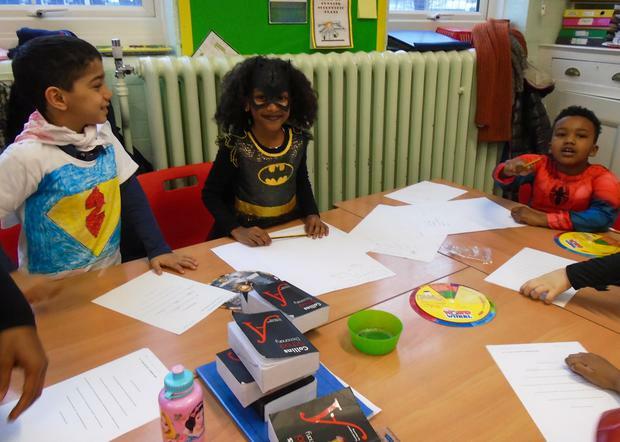 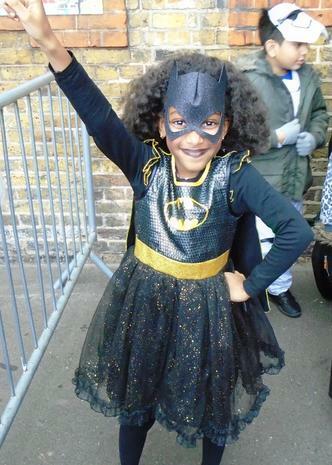 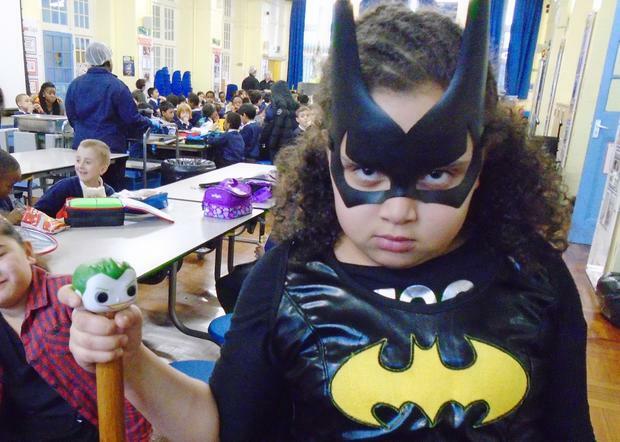 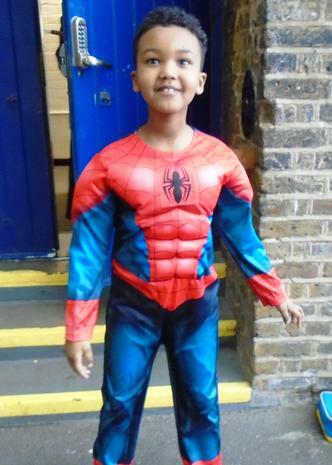 During this half term, we will be holding a superhero day in which the children are invited to come in wearing fancy dress as their favourite superhero or even a superhero they've created themselves! 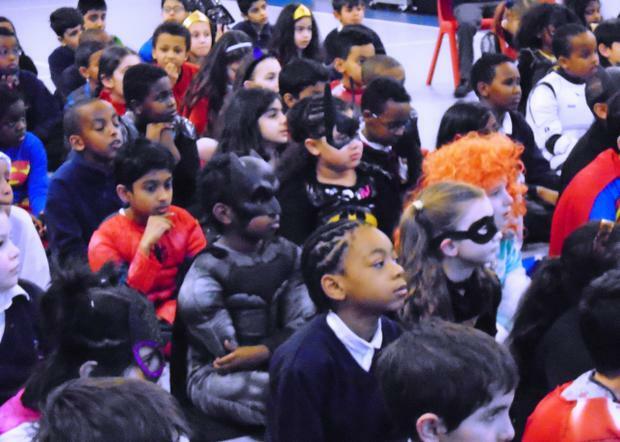 Please start to think about your child's outfit now so it will be ready in time for our superhero day, we look forward to seeing some incredible outfits! 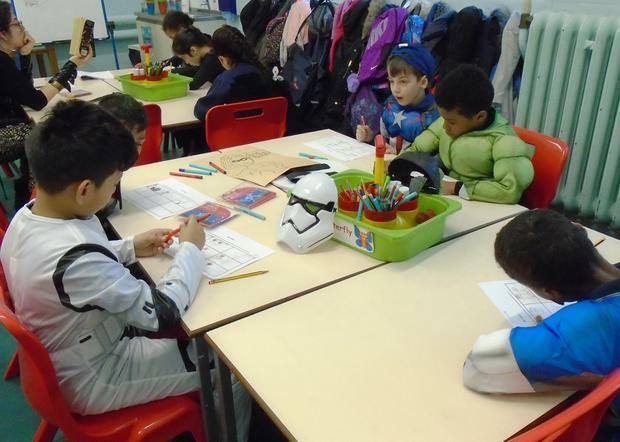 We’ve had an action-packed half-term full of excitement and learning. 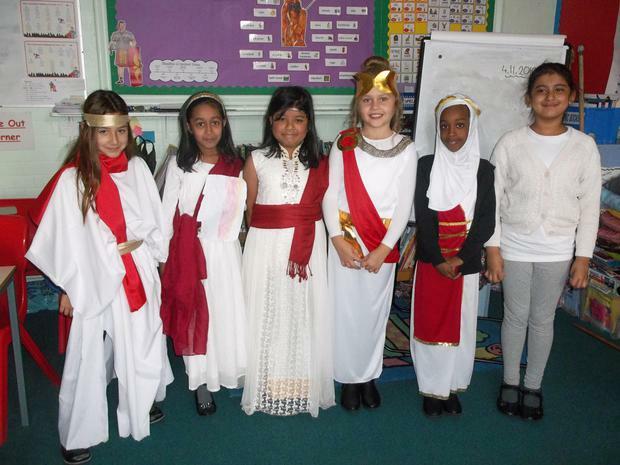 We started off the half term with our Roman day. 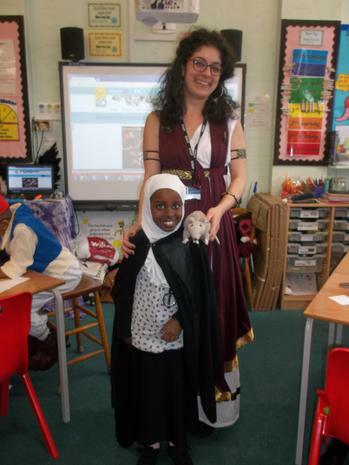 We saw some absolutely amazing Roman costumes, and the teachers joined in too. 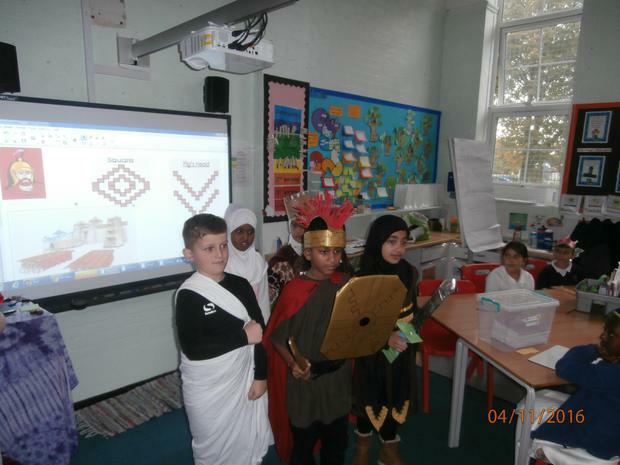 During the day we saw a performance from the Museum of London who taught us all kinds of facts about the Romans and their time in Londinium. 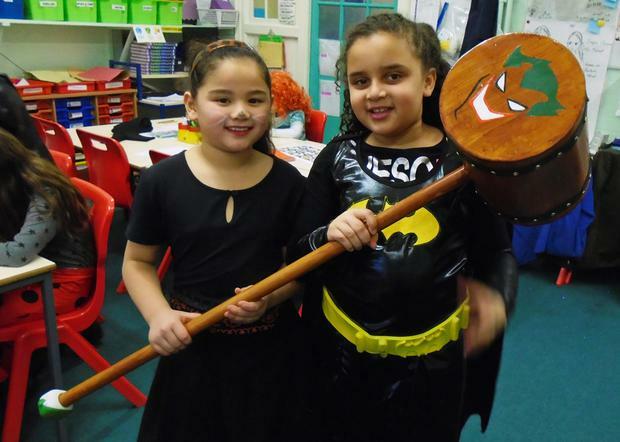 Over the half term, we’ve looked at the Romans and their battles with Boudicca’s Celts, which has seen some fantastic persuasive speeches performed by the children. 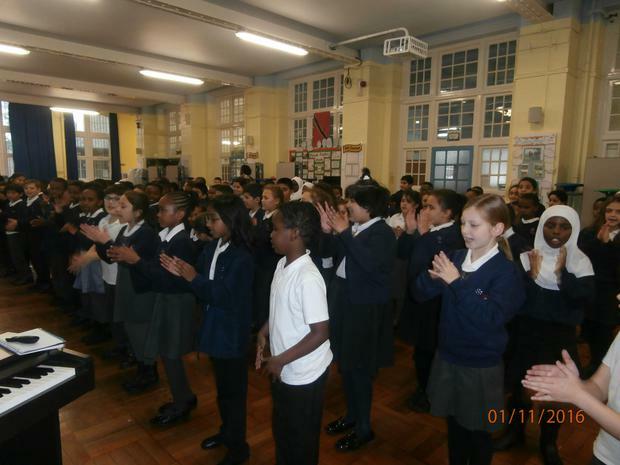 After weeks of practising with the wonderful Mrs Brown, we finally performed our Enfield Sings concert in front of a packed hall. 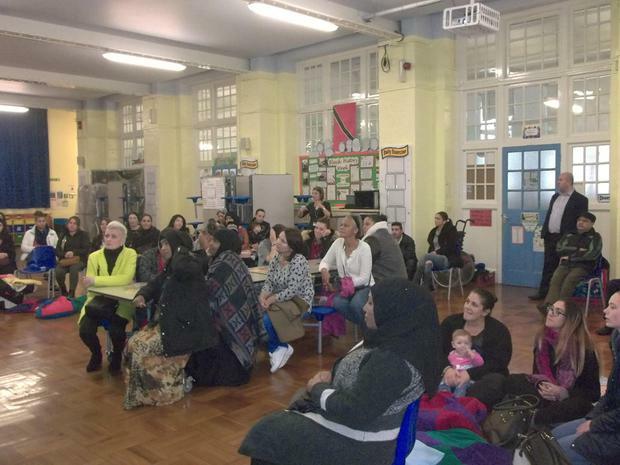 It was great to see such a fantastic turnout of parents and I’m sure you’ll agree they sounded magnificent. 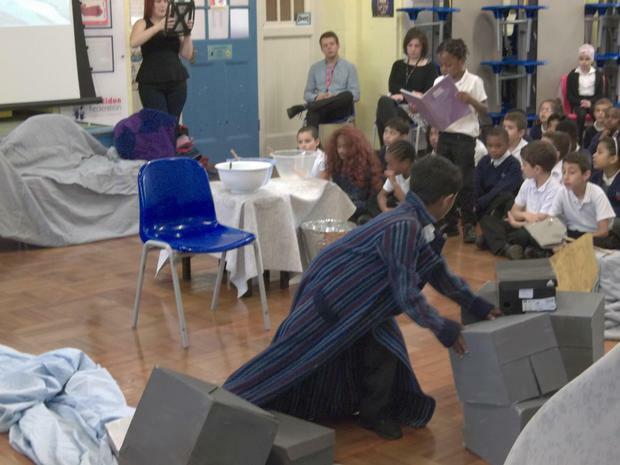 Just over a week later, we performed our Christmas production, What Does Christmas Mean to You? 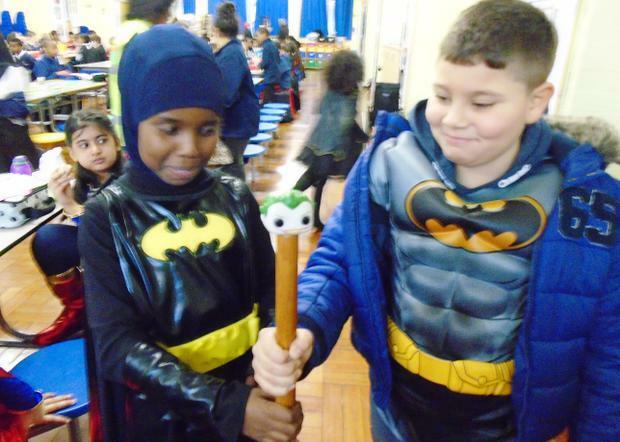 We saw each class perform a different scene showing one of the meanings of Christmas; Christmas shopping, Christmas dinner, Christmas presents, Christmas number one and the tale of the nativity. 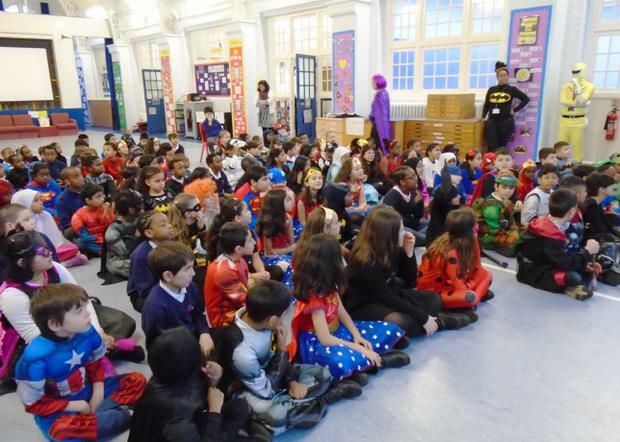 Sandwiched between this was Mother Teresa class’ assembly which was a rendition of The Day the Crayons Came Home. 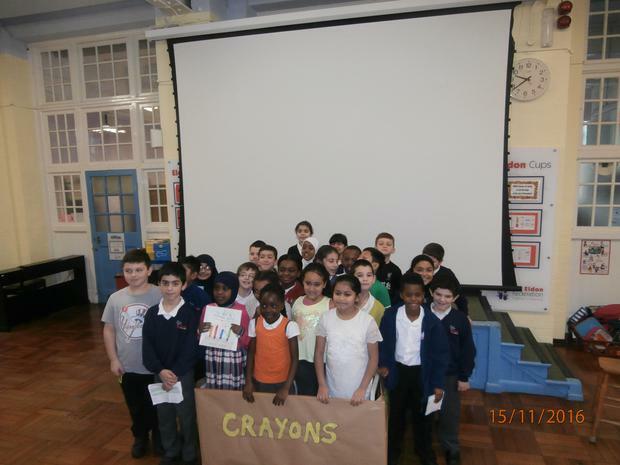 We saw a variety of colourful crayons and learnt all about how a growth mind-set can help us learn. 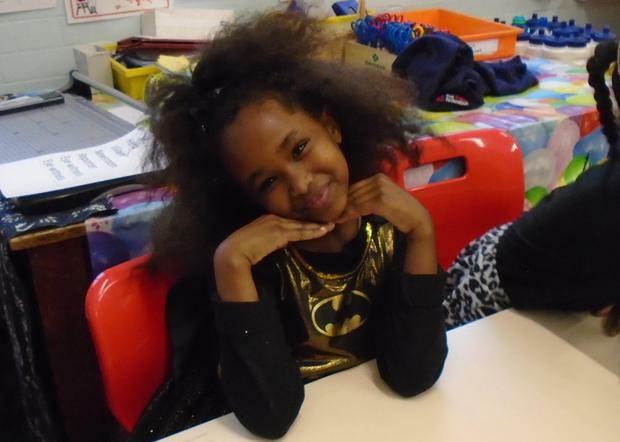 Finally, we’d like to wish you a merry Christmas and a happy holidays. 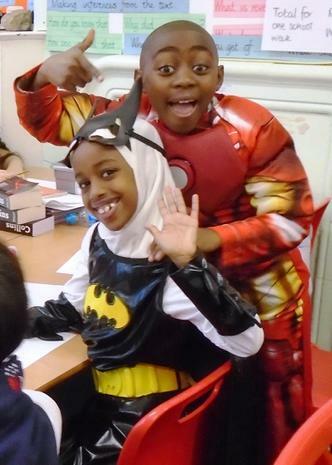 We hope you enjoy the break and get a chance to see your loved ones. 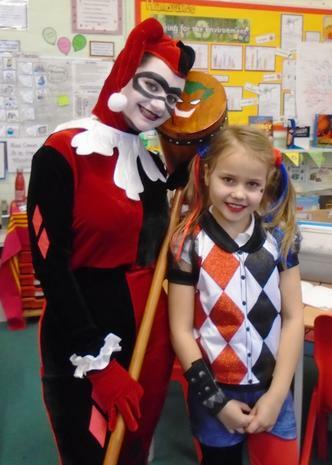 Hello everyone, we hope you enjoy your half term holidays. 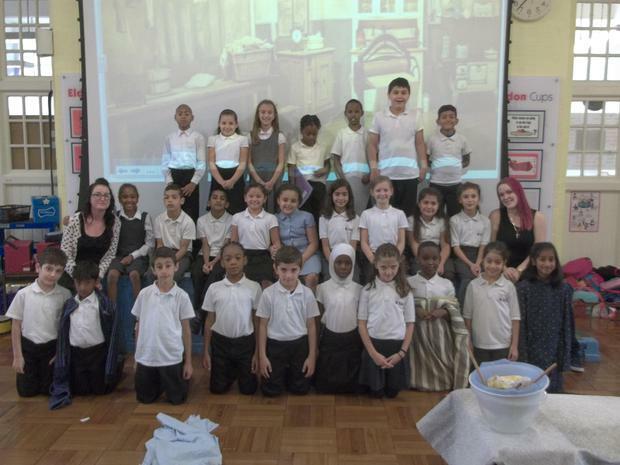 We’ve lots to update you on about what we’ve done over the past few weeks. 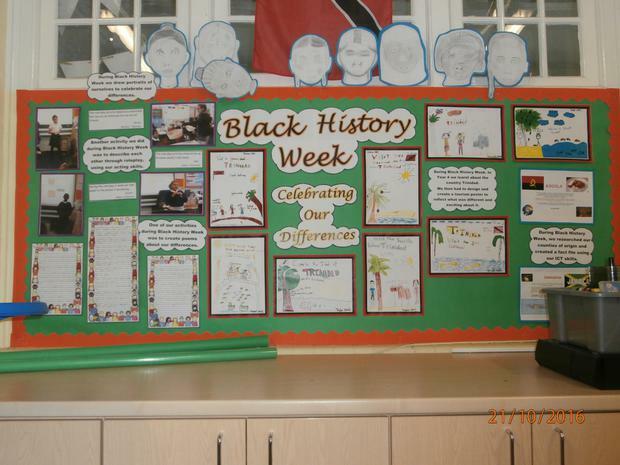 As many of you know, October was Black History Month and we’ve been taking part over the past two weeks. 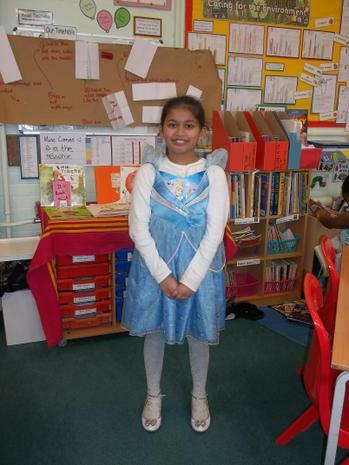 Our learning has centred on the story of Amazing Grace and celebrating our differences. 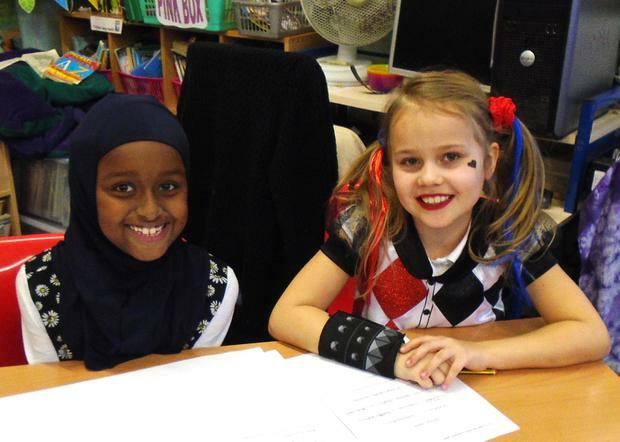 We’ve thought about what makes us unique and different and why it’s great to have so many different cultures, religions, nationalities and races in our school. 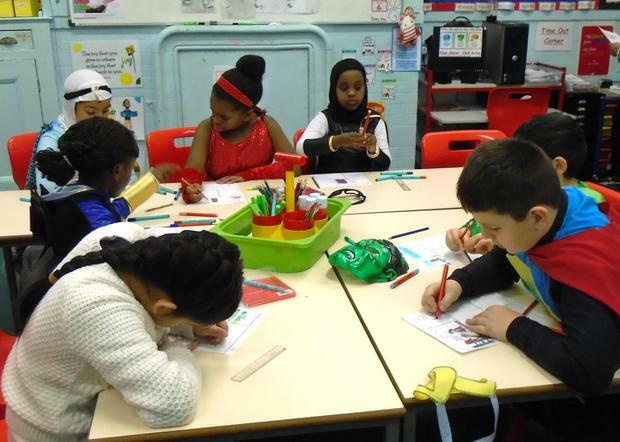 We’ve made self-portraits, researched our own countries, written poems about diversity, researched Grace’s motherland, Trinidad, and roleplay activities around Amazing Grace. 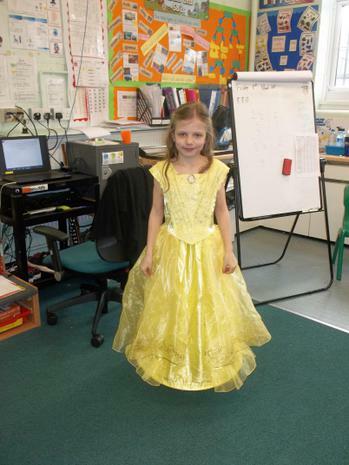 You can see some examples of our amazing work in the photos below. 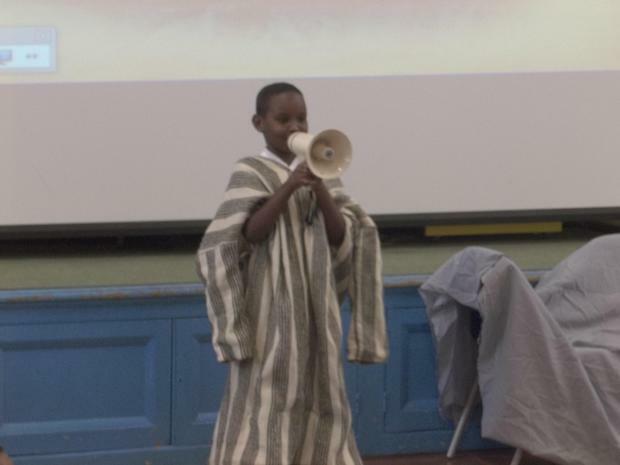 On the final day before the half term holidays, we hosted parents for Sprawl in the Hall, a great chance for us to share our learning of the past few weeks with you. 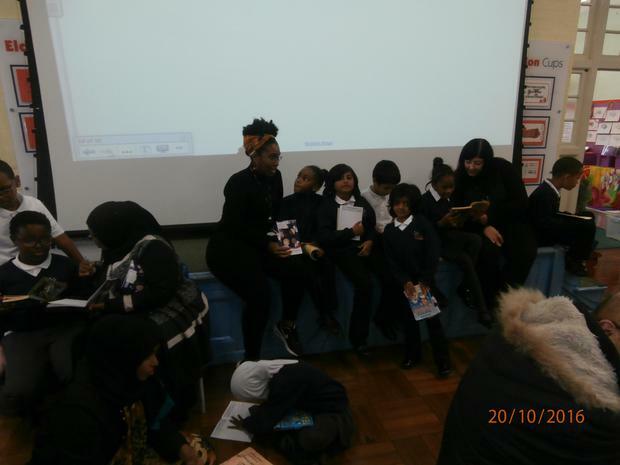 We had an amazing turnout and lots of children had the chance to read to their parents and show them how much reading we’ve been doing this half term. 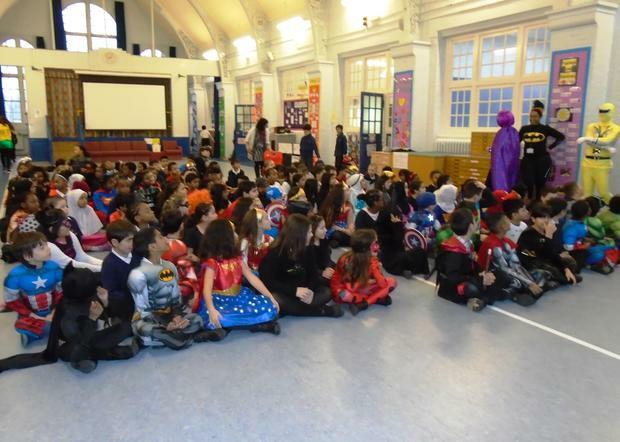 We want to say a big thank you to everyone who managed to come along and we hope to do something similar again soon. 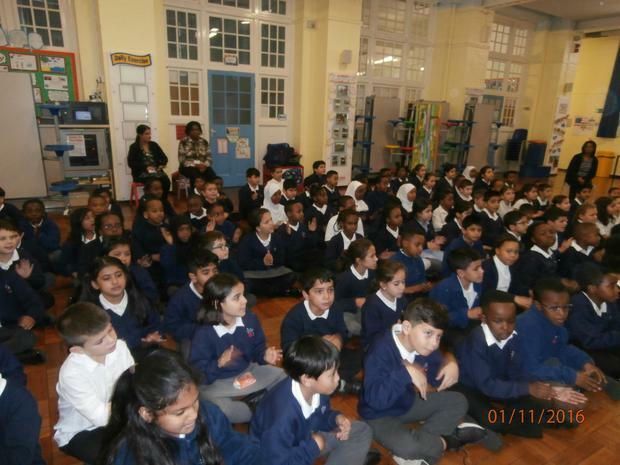 Hello and welcome back to our new Year Four. 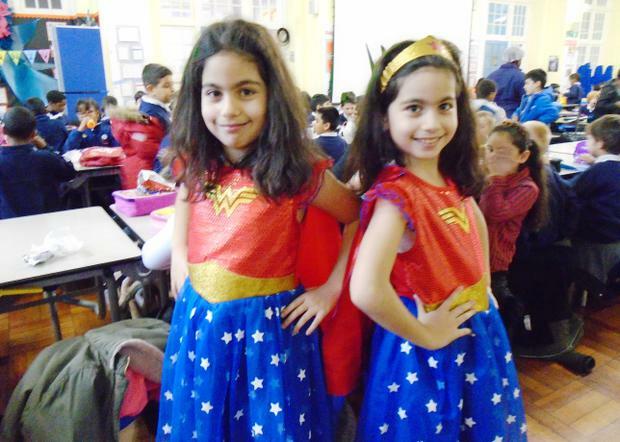 We’ve made an exciting start to the year and have had many adventures already! 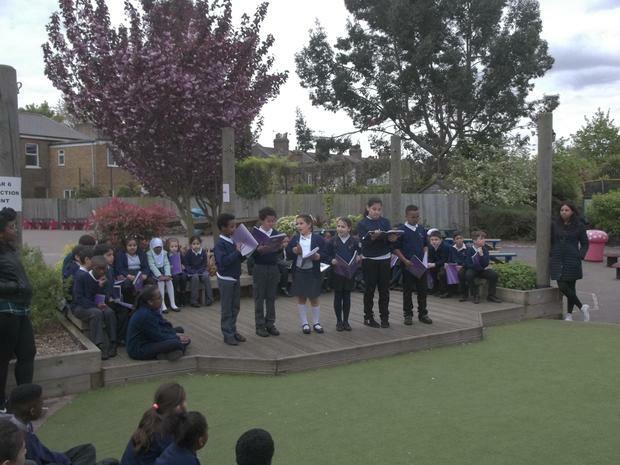 We’ve elected school council representatives from each class after our election week. 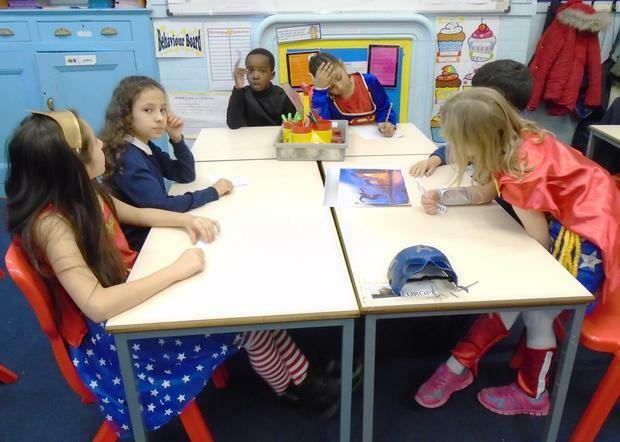 We had Kate Osamor MP come into school to talk to us all about what it means to represent people and how we can make sure everyone’s voice is heard. 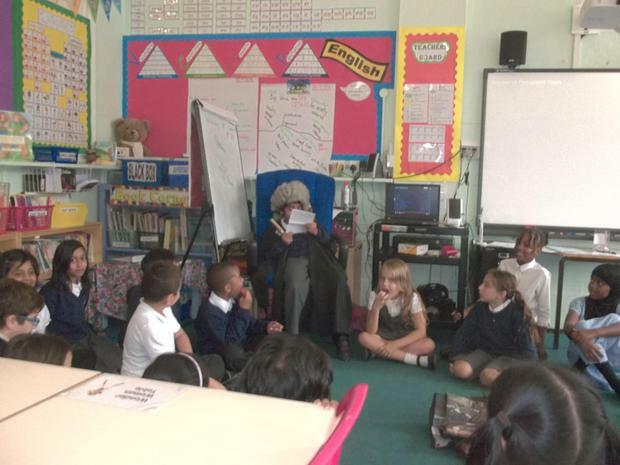 She invited us to come and visit her at her office in Edmonton Green or even at the Houses of Parliament in Westminster! 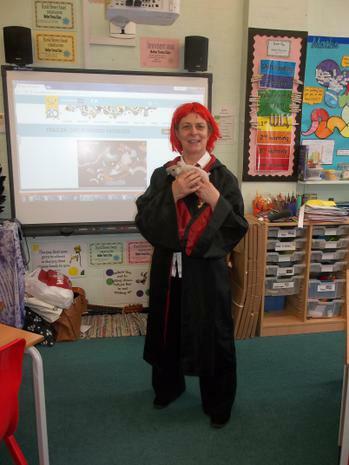 We have also learnt about Parliament and some of us dressed up as the Speaker. 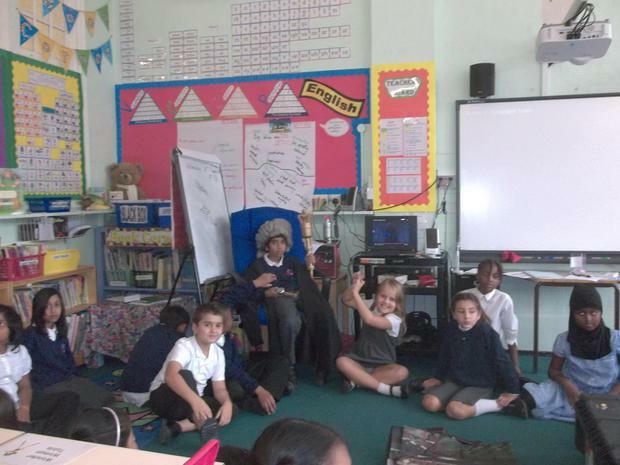 Albert Einstein class had their class assembly all about Finn MacCoul, the Celtic legend. 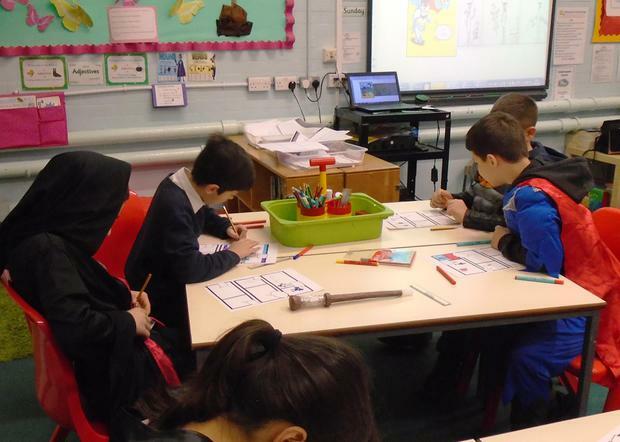 We have been learning about the story of Finn, Oonagh and Cucullin during our English lessons as part of our Celts topic and we’re now experts on the tale. 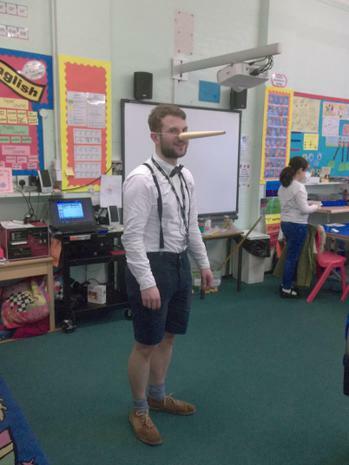 Einstein class re-enacted the story and we saw a terrifying Cucullin tricked by the crafty Finn MacCoul. 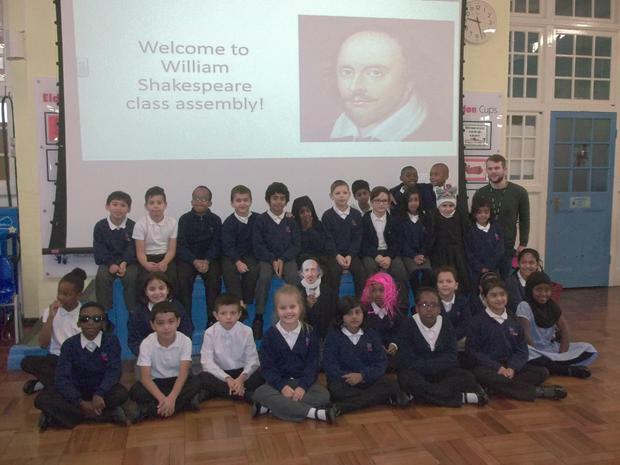 The Little Einsteins have set the bar for class assemblies very high with William Shakespeare class up next! 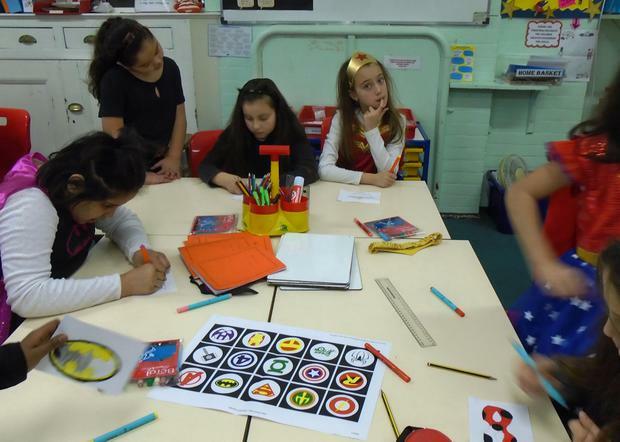 This half term we’ve been looking at healthy lifestyles and how we can live a healthy life. 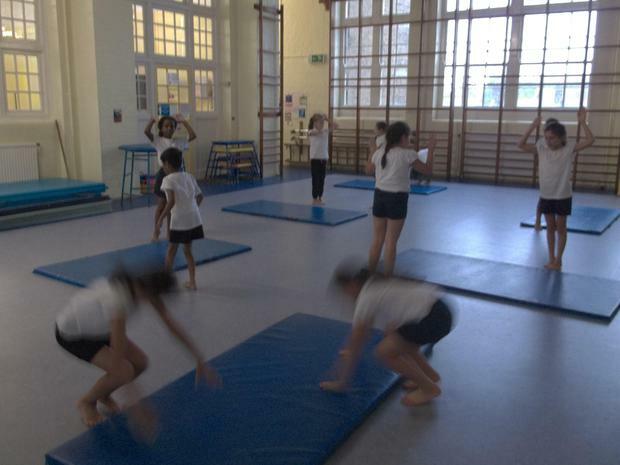 We’ve been making sure to have plenty of exercise every day through our daily exercise and P.E. 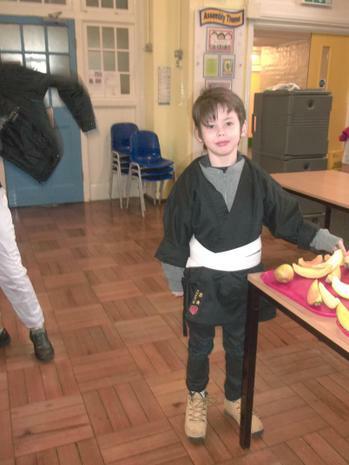 lessons, and have looked at bringing in a balanced lunch every day.